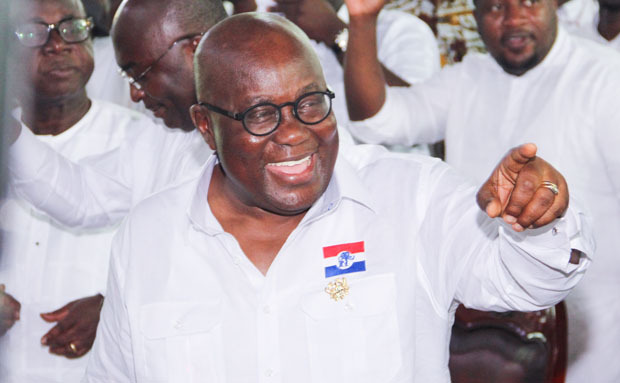 President Akufo-Addo says his administration will improve the ailing economy inherited from the previous National Democratic Congress (NDC) administration in 2016. Speaking at the annual Delegates’ Conference of the New Patriotic Party (NPP) over the weekend in Koforidua, the President said Ghana would complete its extended credit facility (ECF) programme with the International Monetary Fund (IMF) this year. He said his administration posted an 8.5 percent GDP growth rate in the first year of its mandate, and that there was every indication that it would repeat that this year. “Indeed, the IMF is saying that we could have the fastest growing economy in the world this year, and that our prospects for positive growth are good. “We have brought the unsustainable fiscal deficit down from 9.3 percent in Mahama’s last year to 6 percent in 2017. We will get it further down this year. The rate of inflation has improved from 15.4 percent – we are now in single-digit figures. President Akufo-Addo gave credit to members of government’s economic management team, which is chaired by Vice President Dr Mahamudu Bawumia, and stated that government has begun to revive Ghana’s agriculture with the ‘Planting for Food and Jobs’ programme. He said that this year, the programme would be extended to embrace 500,000 farmers, indicating that government’s target is one million farmers by the end of its four-year term. “We are going to change the face of Ghanaian agriculture. We have finally established the Development Authorities and the Zongo Development Fund to address questions of infrastructure at the grassroots. We are ready to roll out the One District, One Factory initiative, and construction has begun in parts of the Northern Regions for the One Village, One Dam project.